The holidays: truly the most wonderful time of year filled with fun, festivity… and stress. We said it. Stress. While we can’t deny that there is plenty to look forward to there is also an added dose of stress during the holidays – hosting events, endless searching for the perfect gifts, and working overtime, to name a few. Does “I’m too busy for a massage” sound familiar? Slowing down and taking some time for yourself by relaxing during a hot stone massage will actually help you navigate this season with greater ease. As the name suggests, hot stone massage incorporates the use of warmed stones, which are placed on areas throughout your body. Consider the many benefits of a hot stone massage and you’ll see why it’s the perfect gift for yourself this holiday season. Hot stone massage will undoubtedly help you relax. Having hot stones massaged across the achiest parts of your body is a very calming sensation. With the weight of the holiday stress off your shoulders, you might even be able to tackle holidays challenges with greater energy than you would otherwise. Pausing to take a little ‘me’ time is actually the quickest way to accomplish more on that hovering to-do list of yours. One of the best compliments our RMTs receive is when clients tell us that they are sleeping better after a Massage Therapy Treatment. We’re not surprised when we hear it: being in a more relaxed state helps promote sleep! You might be so relaxed that you’ll fall asleep on the table – we see it all the time. A misconception we hear about hot stone massage is that it’s used for relaxation purposes only. However, by adding heated stones to traditional Massage Techniques, our RMTs are able to work your muscles more deeply. Hot stone massage is just as helpful as other forms of Massage Therapy, but with the added benefit of heat. The state of relaxation doesn’t just apply to your mind but your muscles as well – the heat leaves them more relaxed, making it possible for our RMTs to give them the deep work you desire. The secret is out. 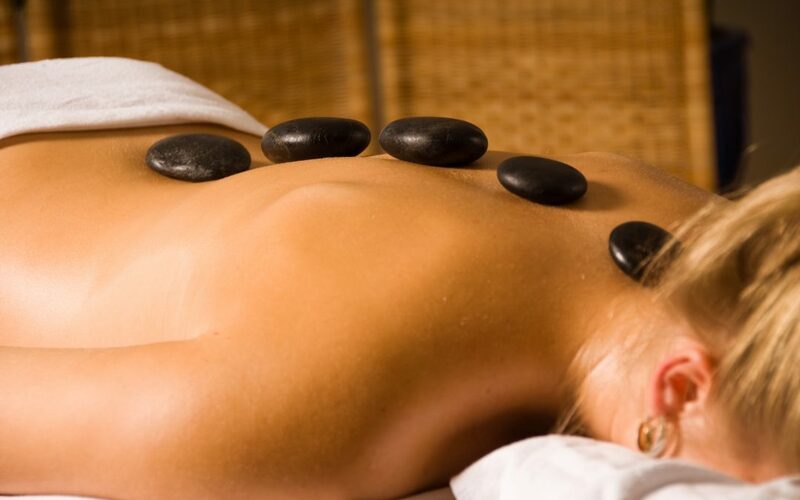 A hot stone massage is the perfect way to give yourself a break during the busy holiday season. For more information on hot stone massage, contact us and we can book you in for a session.